Is your refrigerator starting to look like a garden party of zucchini? 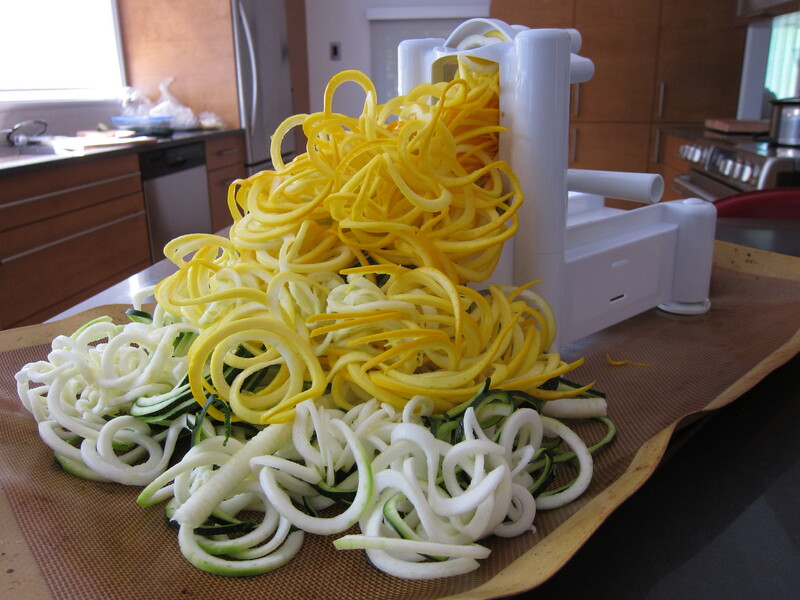 Then take out your tools— Spiralizer, a julienne peeler—and turn those vegetables into oodles of zoodles. 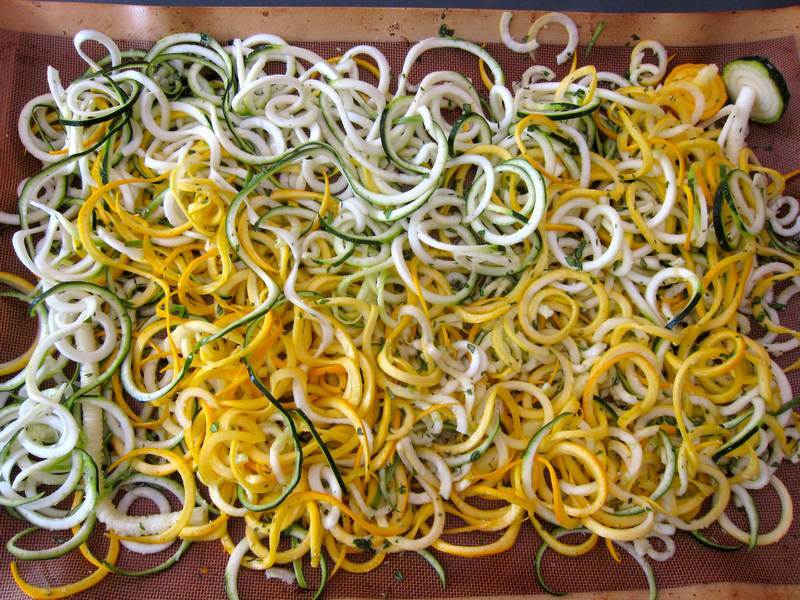 The shape adds to the fun and flavour of these Roasted Zoodles. 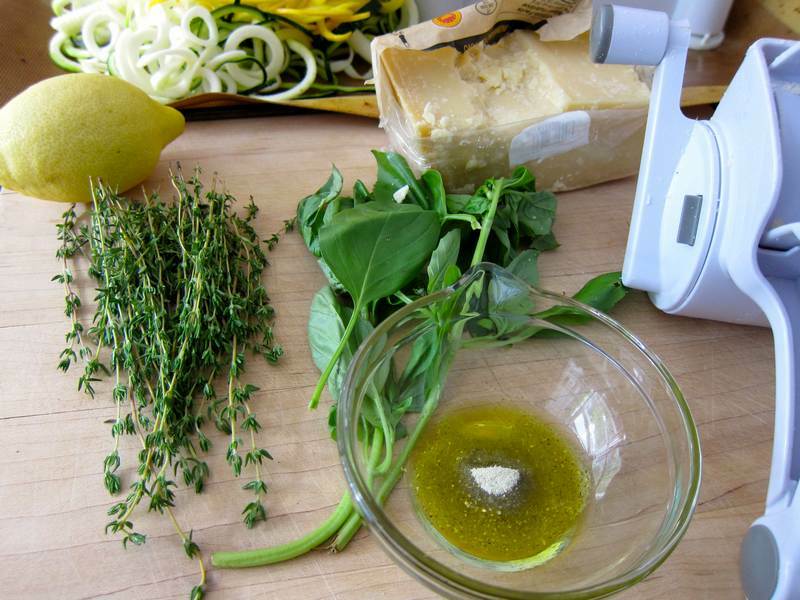 In a small bowl, combine oil, cheese, 1 tablespoon of each herb and salt. On a large roasting pan, mix all ingredients and roast, tossing once or twice, for 30 minutes, until thoroughly softened. Plate, then garnish with the remaining teaspoon of each herb and lemon wedges. Serve as a side dish or as a topping on real noodles. Serves 5-6. Roasted Zoodles can be tossed into an egg, quinoa or rice dish. 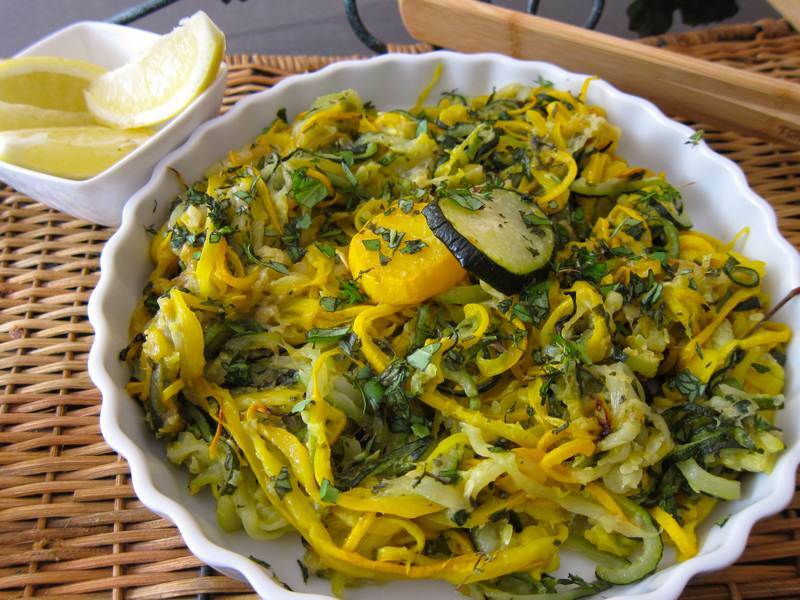 Check out these 15 amazing benefits of zucchini for skin, health and hair. Ever wonder about the health benefits of raw and grilled zucchini? 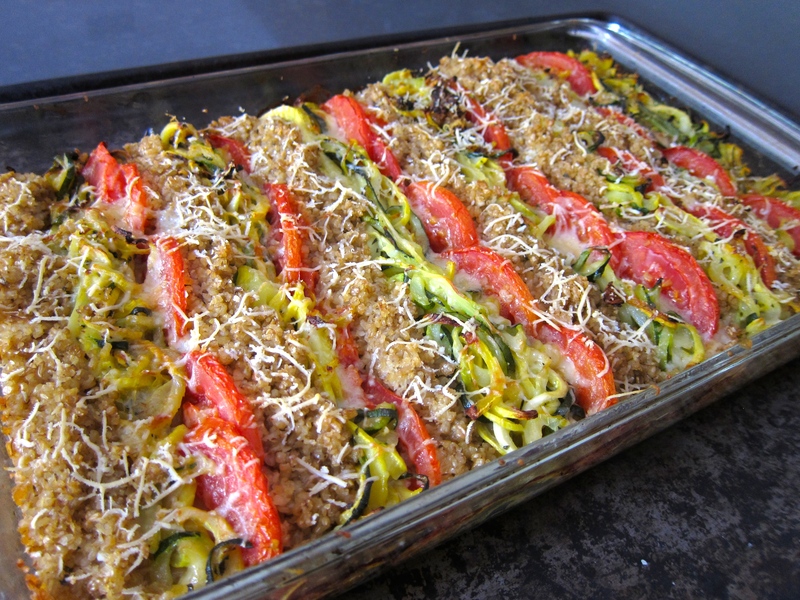 Update: What happens when you cross Roasted Zoodles with Eggplant Tomato au Gratin and substitute bulgur for freekah? You get Zoodles au Gratin. Yum! Cauliflower pizza, amazing. Please post your recipe. Does it work with some red sauce? Oops! That was Pizza from Anthony’s! Just wanted you to share the treat. Great idea to have it with tomato sauce!